LinkBack Thread Tools Rating: Thread Rating: 1 votes, 5.00 average. Thanks for this. My VIN falls within the range and my dealer called today and will check out the steering column tomorrow. Just got a call saying we're getting a rental car, so it sounds like ours is getting a new steering column. What is involved in putting in a new steering column? Is the work done entirely within the engine compartment, or do they need to disassemble the dash or otherwise mess with the interior? My one month old 3.6 Outback is currently at the dealer awaiting the replacement part. Axes, saws and winches?! Don't need no fancy pants dealer! Just git in der and git it dun urself! Just returned from the dealer -- dodged a bullet. While my VIN number was within the recall range, the serial number on the steering column is what matters. The nine-digit number is on a sticker just above the brake pedal. In my case, it was 964210381, or by Subaru's code, the four numbers after the first one indicating year, month, and date. As I understand it, if your steering column falls between March 22 and April 16th, you're out of luck (6322-6416). Glen1959, Sunday Afternoon and ber5252 like this. Thanks so much for this. 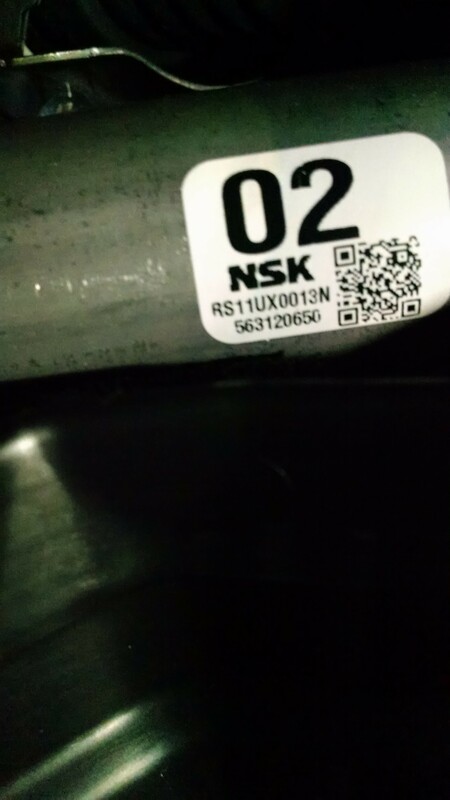 My VIN, too, was in the recall range, but I just went and took a picture of my steering column label, and I'm 96420xxxx. Of course I'll wait for the official word, but this keeps me from calling and banging on my dealer's door. Today is the 2-week anniversary of delivery for me, and I'm loving my Outback. What is involved with replacing the SC? How does this affect the value of a new car still on the dealer's lot? Does this repair involve taking apart the dash and steering wheel or is this all done under the hood?